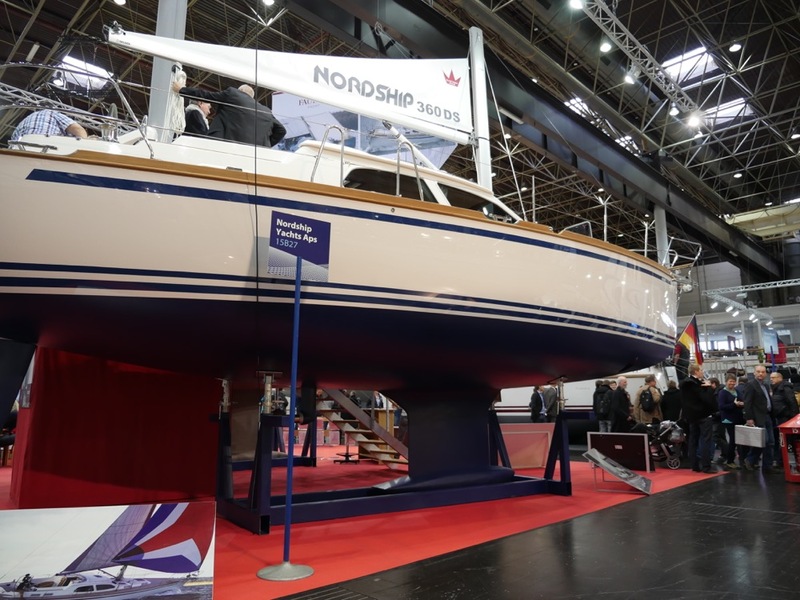 We visited this year's edition of Düsseldorf boat show on 18th of January. Apart from various luxury yachts such as Oyster 585 & 885, Hallberg-Rassy 64, Discovery 58 and many others, there were also a wide selection of interesting smaller sailing boats by smaller yards, which are not that well-known or common sight in the northern Baltic waters. For example, a German Scalar 34 was a new acquaintance for me. 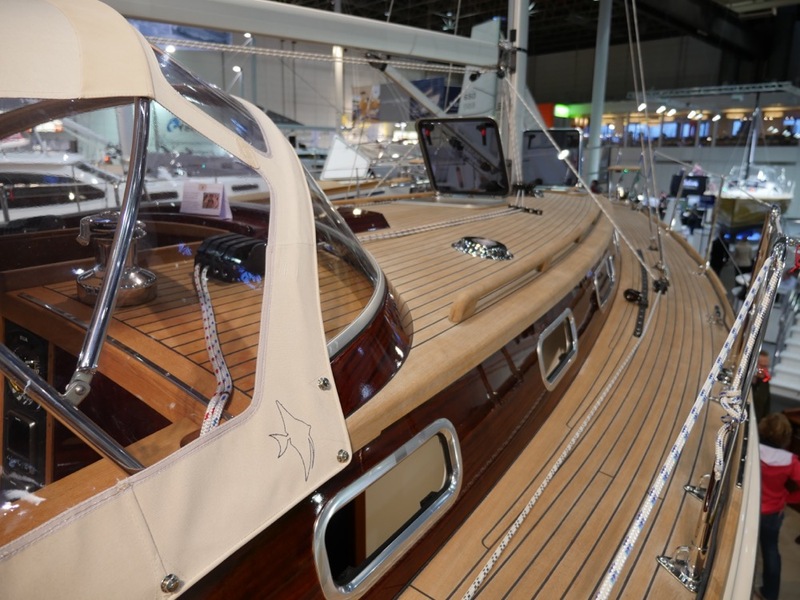 With varnished coachroof and narrow transom, Scalar reminded me of classic Vindö yachts. 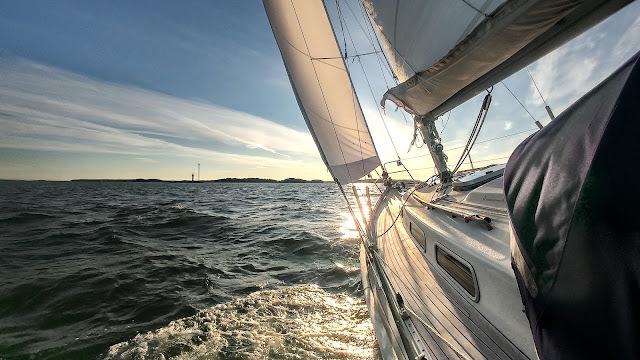 Scalar also has a longish fin-keel in today's standards and the ballast is encapsulated similar to ours, which is not that common construction anymore. 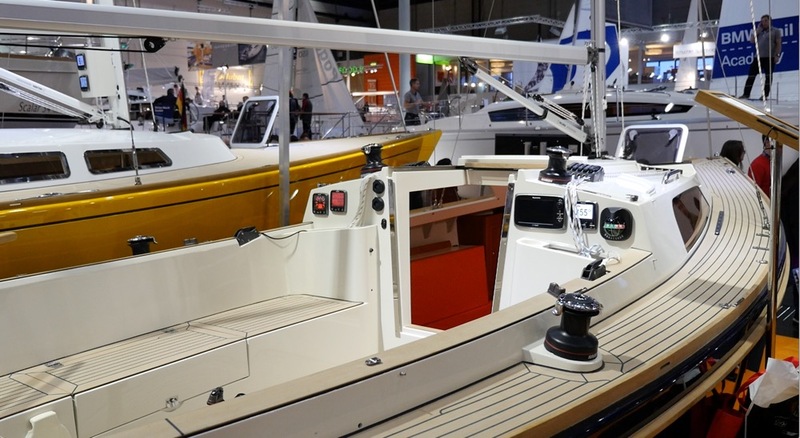 In part one of my Boot 2015 video, Magnus Rassy explained how Hallberg-Rassy combines modern design features with tradition. In this second part of the video, I talk with Thomas Dan Hougaard from Danish Faurby Yacht and Jørn Olesen from Nordship Yachts. 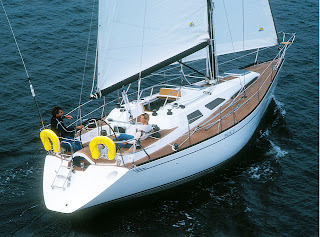 The first sailing boat in our family was a small 22ft Nordship 666 from the 80s. However, today's Nordships have quite a bit different concept with large deck saloons and currently the smallest boat in their range is a 36 footer. Faurby Yacht on the other hand was almost a new acquaintance for me: last summer in Stockholm Wasahamn, we had a berth next to a Faurby 335. 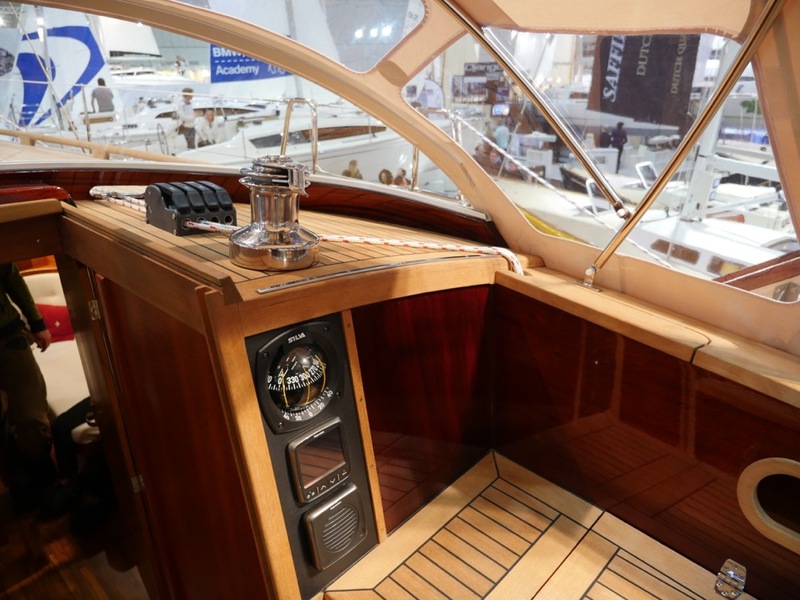 The boat seemed to be modern and traditional at the same time and the most notable difference compared to the majority of contemporary production boats was the Faurby's relatively narrow hull. Thus, it was interesting to hear about the concept behind this boat.